Bright N Clean NY, Inc.
Impala Empire Cleaning Services Corp. Carpet cleaning in New York is an unavoidable aspect of owning a home or apartment with carpeted floors. More than the basic maintenance of vacuuming, more commercial-grade carpet cleaning methods are necessary to ensure a long, healthy life for your carpet. As many homeowners already know, vacuuming does little to remove the grime and microscopic dirt that clings below the surface of your carpet. Even the most pampered carpets, including homeowners who demand that guests remove their shoes, should have their carpets cleaned thoroughly at least once a year. Other carpets may see such heavy use that a homeowner would do well to buy their own carpet cleaning equipment. Many homeowners undertake their own carpet cleaning to varied success. While carpet cleaning may seem fool-proof, many types of carpet cleaning must be expertly executed to avoid common problems that can arise from the cleaning process itself. You may have invested in a steam cleaner for your carpet, telling yourself that a few hours of your time is worth saving the cost of hiring a professional. The problem is that many steam cleaners marketed for use by homeowners have inadequate controls for steam application. A delicate balance must be achieved to get your carpet clean without saturating the fibers and padding with moisture. Given the high moisture content of the air inside and outside many New York homes, your carpet may take too long to dry. This creates mold and mildew problems, as well as generally foul odors that are notoriously difficult to eliminate. Saturating your carpet padding with poorly applied steam cleaning can also reduce the carpet's viability and life expectancy. The same warnings of DIY New York carpet cleaning can be translated into the benefits of hiring professional cleaning services. The equipment and expertise high quality New York carpet cleaners will bring to your home simply can't be reasonably matched by the typical homeowners. 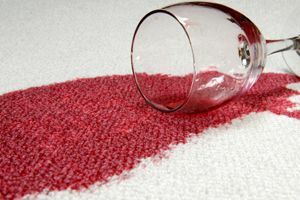 Some carpet fibers, for example, can take more moisture than others. Commercial-grade steam cleaners in general will get your carpet cleaner and with less residual harm to the carpet. These cleaners will also be able to take care of the side work such as moving furniture, although some companies offer discounts if you take care of this yourself. And you may just want to enjoy the weekend, rather than spend it laboriously learning about and completing your own carpet cleaning. The average time for New York carpet cleaning is under four hours, much less than you could achieve on your own, no matter how simple the project appears in your mind. The average cost of hiring a New York carpet cleaner is $200, although we've seen costs as low as $100 and as much as $400. This difference in cost can reflect the scope of the project or the contractor you hire. Typically, you should be wary of estimates that are substantially lower than the competition's, although our online customer ratings and reviews section can help you determine if you're looking at a sub-standard company or one that's simply offering a great deal. There are also a number of things you can do to help maximize the success and minimize the cost of your project. Being able to accurately describe the size and condition of your carpet will help the process of soliciting estimates. With high travel costs, it's not cost-effective for carpet cleaners or for you to have cleaners come out to your home just to deliver an estimate. You can also seek out general home maintenance companies and bundle spring cleaning services such as window cleaning, tile re-grouting, and lawn services into a single cleaning package. Another great idea is to talk to your neighbors about their carpet. If a carpet cleaner can take care of three homes or apartments in a single trip, you'll often see significant discounts. To justify the expense of New York carpet cleaners, you need to find someone who's going to deliver first-rate service without charging an arm and a leg. Easier said than done, HomeAdvisor offers concrete help to this end. Each and every contractor in our system is put through a rigorous ten-step screening process. Plus, our quality-controlled customer ratings and reviews will allow you to see what other homeowners thought about individual contractors and general carpet cleaning tips. These reviews also create a powerful incentive for contractors to meet and exceed your expectations. Comment: The hotel has 15th floors and we want to have an quotation to clean a carpet on each fl hallway. Comment: Red wine on synthetic carpet. Comment: Our dog peed on our light colored, linen blend couch. We want to have it deep cleaned to remove as many stains as possible as well as smell from this last incident. Have spot treated ourselves. Comment: I have two matching off-white sofas, one of which has stains on a seating cushion. I would also like the beige wall-to-wall carpeting in my bedroom cleaned. New York Carpet Cleaning Services are rated 4.78 out of 5 based on 1,064 reviews of 40 pros. Not Looking for Carpet & Upholstery Cleaning Contractors in New York, NY?